REDWOOD CITY (September 12, 2016) - The US Department of Education awarded a $3.2 million grant to Cañada College to significantly improve the college transfer and completion rates of its Hispanic and other high need students over the next five years. “As a designated Hispanic Serving Institution (HSI), we are committed to ensuring that all our students start strong with their educational journey, get connected to pathways to transfer, stay strong on that road to success, and finish strong through their transfer to four year institutions,” stated Dr. Jamillah Moore, Cañada College President. The grant will fund Canada College’s Expanding Student Opportunity (¡ESO!) Adelante Project, which in collaboration with San Francisco State University (SFSU), will support the creation and implementation of academic pathway programs designed to encourage the successful completion and transfer of Cañada’s Hispanic and other high-need students. The ¡ESO! Adelante Project will support student participants even after they transfer to SFSU in pursuit of their Bachelor’s Degree. The ¡ESO! Adelante Project will develop extensive and comprehensive use of peer mentors at Cañada College to encourage entering students to participate in academic preparation programs; encourage them to use academic support services; guide them along developed academic transfer pathways, and support them before and after transfer. The ¡ESO! Adelante Project will also create and develop a staff and faculty professional development program called “Roadblock Summits” to develop the pathways and create a transfer hybrid course that will be available at both campuses to complete the transfer education process. 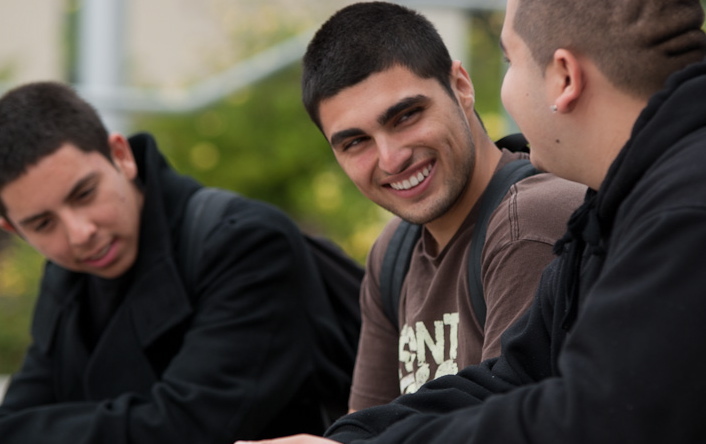 The grant is funded through the U.S. Department of Education’s Hispanic-Serving Institutions (HSI) Program, whose purpose is to expand educational opportunities for, and improve the academic attainment of, Hispanic students; and to expand and enhance the academic offerings, program quality, and institutional stability of colleges and universities that are educating the majority of Hispanic college students and helping large numbers of Hispanic students and other low-income individuals complete postsecondary degrees. About Cañada College: For nearly 50 years, Cañada College has provided enriching and life-changing educational opportunities for the residents of San Mateo County. With the support and guidance from award-winning faculty and staff, residents can pursue certificates and degrees for career training or to serve as a transfer gateway to four-year colleges and universities. Located in the heart of the Silicon Valley, Cañada College offers hundreds of day, evening, and weekend courses in more than 40 quality instructional programs, including sciences, business, multi-media, medical assisting, the arts, and technical training. The College also provides extensive basic skills training and innovative student support services in counseling, orientation, certificate and degree planning, transfer assistance, and tutoring. Begin your Cañada College experience by visiting canadacollege.eduand follow us Facebook.com/canadacollegeRWC.